The cybersecurity industry is constantly striving to stay well prepared and well ahead of new threats. Data protection was in the spotlight all through 2018. It’s a common practice for applications to collect user data like the user’s personal information, location, and other personal preferences. Such important data is vulnerable and, if left unprotected, can be stolen and misused by hackers. UK enacted the General Data Protection Regulation (GDPR) that forced companies to state and comply with data privacy policies. GDPR gives the users control over their data and the freedom to decide whether the data can be shared or not. Despite these new measures being in effect, data breaches continue to be the biggest security threat. According to a study conducted by First Data, almost 34% of consumers had their data compromised last year. The following are some of the incidents that made the news last year. Millions of user accounts were hacked in September 2018 when hackers exploited a vulnerability in Facebook. The breach exposed user data, including personal information, and was the worst cyber attack in the social media company’s history. Data breaches were not limited to social media applications, the airline industry also suffered. British Airways was subjected to multiple cyber attacks between August 21 and September 6th. Financial data of customers, including credit and debit card details, were stolen. There was a similar data breach targeting a major Asian airliner. In November 2018, Marriot announced that it was also a victim of a massive data breach. An “unauthorized” party accessed its reservation database exposing guest’s personal information, including passport numbers. Almost 327 million users were impacted. Quora was another platform attacked last year. As soon as the breach was detected, Quora logged out all its users and notified them of the security issue. 100 million accounts were at risk as user emails, passwords and other personal information were leaked. The above breaches are just a few of the notable cyber attacks from 2018. The cybersecurity industry had a lot to learn from these attacks and has implemented measures to mitigate the impact of such attacks. But technology continues to evolve—creating more vulnerabilities that can be exploited easily. Let’s look at some of the current technology trends and the impact they have on cybersecurity. Bitcoin and other cryptocurrencies gained massive popularity in recent years. As more and more consumers use cryptocurrencies for online transactions, there’s been a steady increase in hackers targeting such transactions. Based on a study by CipherTrace, almost 927 million dollars were stolen by hackers throughout the initial nine months of 2018. Cybersecurity can only combat these threats with tools that are advanced enough to detect cryptojacking and cryptocurrency mining. Consumers need to be educated about the risks involved when transacting with cryptocurrency while the cybersecurity industry implements stricter protocols around cryptocurrency exchanges. The wide use of IoT and advanced automation made way for artificial intelligence. The same technique used to build programs that are “intelligent” can be used to build smarter malware and hacking methods. The current set of cybersecurity tools is not designed to detect such malicious code. These tools need to evolve with technology to handle threats posed by artificial intelligence. 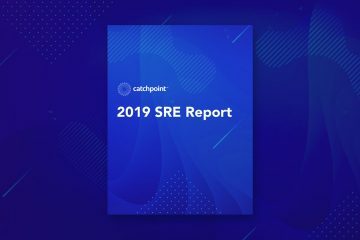 In recent years, most applications migrated to the cloud and enterprises have adopted Software as a Service (SaaS) as the preferred application delivery model. Data management has also transitioned from local servers to the cloud. But this transition comes with its own set of vulnerabilities. The data needs to be protected from hackers; a breach can put millions of users at risk. For example, Ransomware attacks directed at cloud providers can compromise sensitive and critical data. Such an attack would leave major enterprises completely at risk. 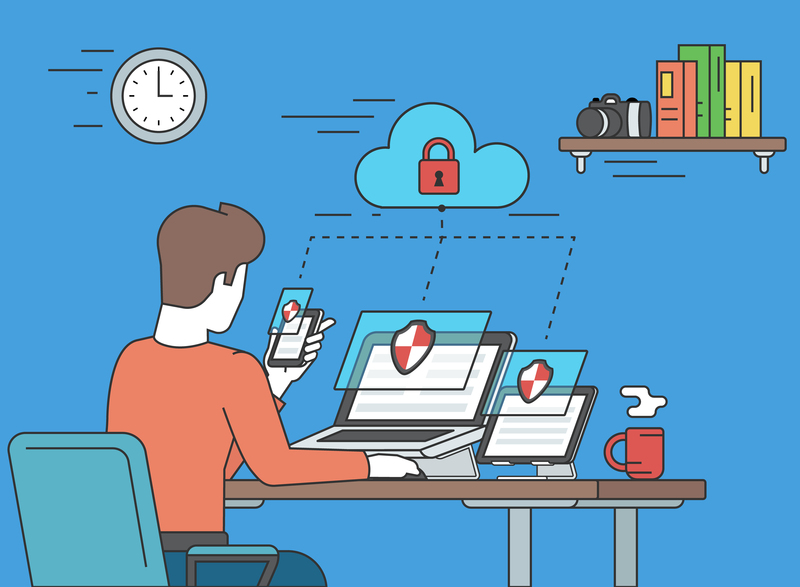 Data protection must be a priority for cloud providers—and cybersecurity tools that can detect ransomware and other types of cyber attacks—should be implemented. Cybersecurity is only effective when it keeps pace with current innovations and trends in the IT industry. Companies should deploy the right security tools and protocols to prevent data breaches and to ensure user privacy is maintained. 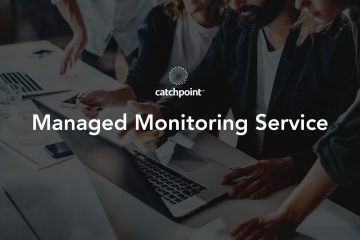 Catchpoint’s monitoring services do more than evaluate performance. The different monitors we offer provide a comprehensive understanding of the different components that make up the application delivery chain. We introduced an SSL monitor as part of our commitment to help you deliver optimal end-user experience. SSL plays a critical role in securing data exchange. A compromised SSL certificate can leave the application vulnerable to cyberattacks and impact application performance. Recently, the mobile application of Softbank and O2 suffered outages. The outage was caused by an expired SSL provided by Ericsson. SSL monitoring is an additional measure that ensures the security protocols implemented are working uncompromised. SSL was introduced to secure the server-client connection and adds a layer of protection during data transactions. It encrypts sensitive data, protecting it from potential threats on the information superhighway. Data encryption: Encrypt the data so only the recipient can decipher it. Data integrity: Ensure the data is not corrupted. Data authentication: Authentication is mandatory to access the secured data. Certificate revocation: Monitoring the validity of the certificate against the Certificate Revocation List (CRL). Certificate pinning and public key pinning: The test checks the certificate thumbprint or public key against the original certificate and alerts if there are any changes to it. Certificate signing algorithm: Test the signing algorithm used by a certificate to ensure you are using the right type of certificate for your website. Certificate validity: Check the certificate expiration and set reminders as the renewal date approaches so that you are prepared in advance and avoid compromising security with an expired certificate. SSL is just one of the ways you can protect your application against malicious attacks. And Catchpoint’s SSL monitor lets you track any malicious changes to the certificate. In addition to deploying SSL, the cybersecurity industry offers a range of tools to detect threats and mitigate the impact of a cyber attack. 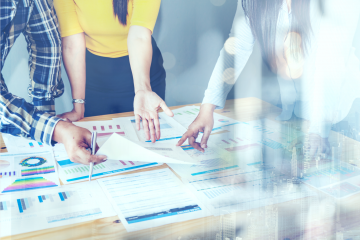 With evolving technologies, proactive and innovative measures are the need of the hour and leaders in the cybersecurity industry are taking action.